RCS 5 Ch DSM2 TX HANDPIECES IN A POCKET SIZED CASE. TAILORED R/C SOLUTIONS BY REMOTE CONTROL SYSTEMS (RCS) SINCE 1988. FOR GARDEN RAILWAYS USING LIVE STEAM & "DEAD RAIL" ON BOARD BATTERY POWER. POCKET SIZE DUAL USE DSM2 TX HANDPIECES. ONLY 1 x Tx NEEDED FOR BOTH LIVE STEAM & BATTERY R/C LOCOS. BASIC UNIT + EXTRA CHANNEL. 1 X SOUND TRIG 4 X DIGITAL PROPORTIONAL CHANNELS. 1 X SOUND TRIG 2 X DIGITAL PROPORTIONAL + 4 X SOUND TRIGS. LOWER PRICE. 3 X DIGITAL PROPORTIONAL + 2 X SOUND TRIGS. CLICK PICS FOR INFORMATION ON WHAT EACH TX DOES & WHICH IS BEST FOR YOUR NEEDS. For Battery R/C we recommend COBRA & VIPER "Centre OFF" ESC's. DISCOUNTED BATTERY R/C KITS FEATURING EVO HANDPIECES + VIPER & COBRA ESC'S. CLICK LINK FOR MORE INFORMATION. RCS HAS DOZENS OF USEFUL SMALL ITEMS FOR BOTH LIVE STEAM AND BATTERY R/C. NOW SMALL SAMPLE QUANTITIES ARE AVAILABLE POST FREE INSTEAD OF AT AN EXPENSIVE FLAT RATE. ANY ITEM MARKED WITH (L) NEXT TO THE PRICE QUALIFIES FOR FREE POSTAGE. RCS R/C IS NOT BLUETOOTH. RCS Tx HANDPIECES HAVE KNOBS & BUTTONS YOU CAN "FEEL". NO STARING AT A "NO FEEL" PHONE SCREEN YOU CANNOT SEE IN SUNSHINE. RCS R/C IS NOT DCC. THERE ARE NO COMPLICATED CV's TO PROGRAM. EVOLUTION BUDGET PRICED R/C SINCE 2005. 2 x Tx HANDPIECES FOR BATTERY POWER ONLY. EACH HANDPIECE CAN CONTROL TWO SEPARATE LOCOS. 1 x SOUND TRIG. 2 X DIGITAL PROPORTIONAL. CLICK HERE FOR INFORMATION ON WHAT EACH Tx DOES & WHICH IS BEST FOR YOUR NEEDS. DISCOUNTED BATTERY R/C KITS FEATURING EVO Tx's PLUS COBRA & VIPER ESC's. SAVE BETWEEN A$ 30 & A$ 53. What the scale and gauge is? Will the TX handpiece also be controlling Live Steam locos? What is the loco you wish to convert? Will the batteries and R/C be on board the loco or in a trail car? Will you be having a sound system fitted? & WE WILL ADVISE THE BEST SOLUTION FOR YOUR NEEDS. CLICK PICS BELOW FOR INFORMATION. ALL ITEMS EX STOCK UNLESS NOTED. Metal Gears & BB shafts. Hi-TEC HS65, 82 & 85mg 12 & 24 volt versions. 3, 6 & 12 AMP MODELS. Click Pic for EASY installation. "VALDORA" 16 MM SCALE 3d PRINTED DIESEL. BATTERY POWERED, RADIO CONTROLLED WITH MyLOCOSOUND REAL DIESEL RECORDINGS. Please advise MyLocosound you saw the pic here at RCS. NEW FROM RCS INSTALLATION KITS. IN LINE SERVO REVERSER WITH 20% CENTRE POINT & END POINT ADJUSTMENTS. Servo reverser with centre point and end point adjusters. Approximately 20% adjustment. Saves making adjustment in linkages. Can be used with any low cost 2.4 GHz Rx's. Also useful when two servos are working together on one signal. E.G. Garratt type locos if one servo throw is backwards relative to the other engine. Suits Hi-Tec HS82MG. 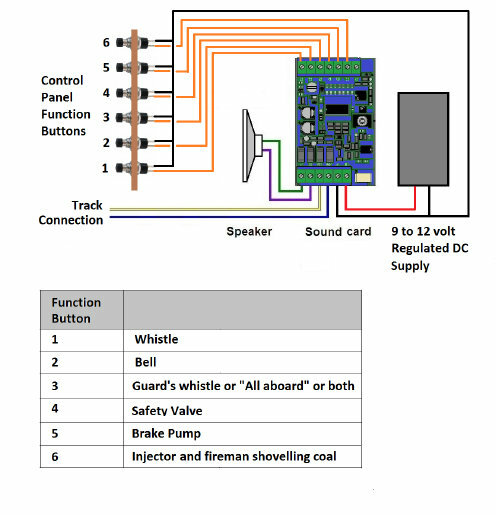 RCS R/C INSTALLATION KITS FOR LIVE STEAM. CLICK THE PICS FOR FULL DETAILS. PICTURES COURTESY OF ARGYLE LOCOMOTIVE WORKS. HOW THE TX-5 R/C WORKS LIVE STEAM IN THE SNOW!!! RCS SYSTEM CONCEPT & DESIGN BY TONY WALSHAM. RCS Tx & Rx PRODUCTS MUST NOT BE USED FOR CONTROLLING RIDE ON LOCOMOTIVES CAPABLE OF CARRYING MEMBERS OF THE GENERAL PUBLIC.